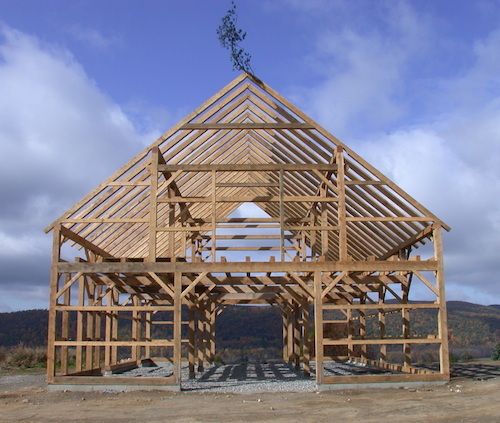 All of our barns are handcrafted one at a time, customized as needed to suit our client's desires, site conditions, etc. 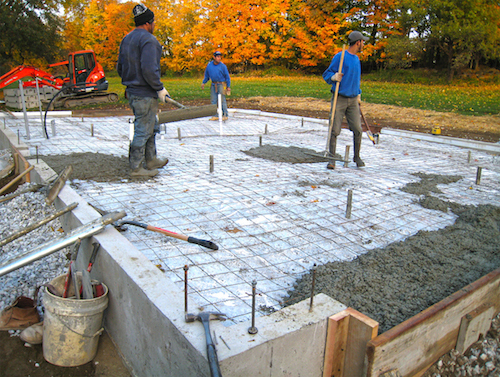 As such, it is rare that we construct a totally generic barn. Please use the downloadable pricing list as a guide for the size and scope of your project. As sizes and features get modified, costs will vary accordingly. With an eye to history and tradition we prefer to maintain the appropriate proportions (length, width & height) for a given barn style as much as possible. At our client's request, we can furnish all elements of a new barn's construction, from excavation to foundation, roofing, finishing etc. 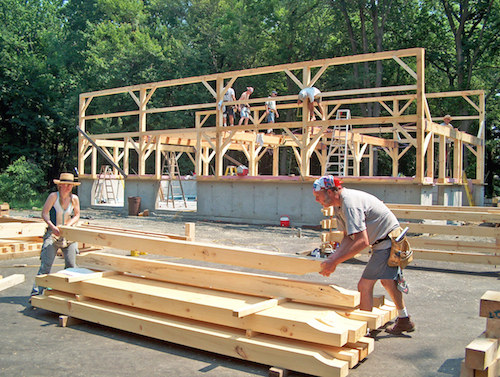 We are highly experienced in all phases of the building process, whether it's for a simple garden shed or a fully insulated and appointed barn style home. 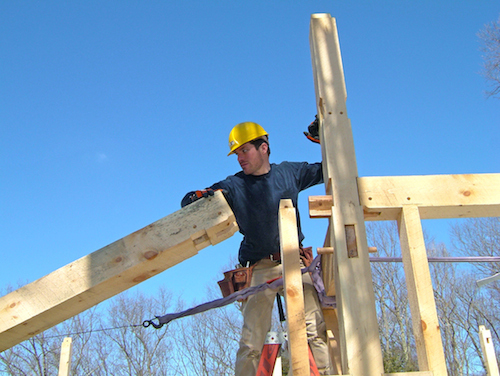 Our specialty and true love is authentic timber framing, but we are also eager to make your overall project experience easy and hassle free. Want to manage some of the project yourself? We are happy to provide you with as much (or as little) assistance as you need.